Welcome to one of my favourite posts – layering your grays & whites. I’m writing this because this colour combo is so trendy right now and I know sometimes people feel lost with how to achieve the look they want or see all over Pinterest. Layering colours, textiles, patterns, and accessories is in and no room is complete until all layers have come together! 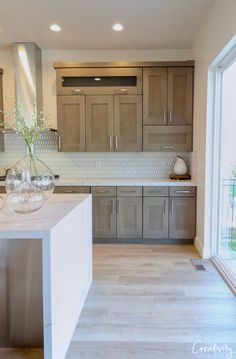 These Benjamin Moore paint colours are the perfect combination of warm grays, crisp whites, and one strong charcoal gray to create a statement. But however you mix and match them; they’ll work. 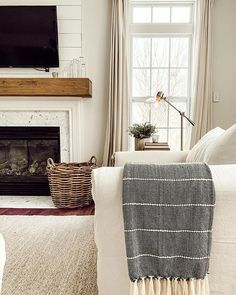 Use Chelsea Gray on your fireplace wall, with Oxford White shelving or cabinetry, and the rest of the room wrapped in a really soft gray like Silver Satin. 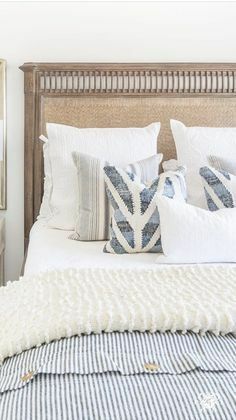 One thing I love about layering a room is adding interest in non-obvious ways, like through the use of throw blankets and pillows that will warm up your space while adding texture plus stronger doses of your colour scheme here & there. Drape a blanket over your occasional chair, on the sofa, and fold some up and keep them in a basket on the ground. There’s nothing more welcoming than oodles of blankets! Pillows are the simplest solution to bringing the colours you really want to draw attention to forward. If you have a soft gray on the walls, accent that with stronger gray tones in the pillows. Since it’s winter I thought it was appropriate to add some faux-fur and extra cozy looking cushions. Layer a fur pillow with a basic pattern, a solid, and a kidney pillow. The more pillows on your sofa or bed, the better. Lastly, artwork and small accessories to tie everything together. Use a combination of all the colours in your palette and strategically place them throughout the space to create the full-effect you’re looking for in your home. West Elm is clearly my favorite place for trinkety-things! 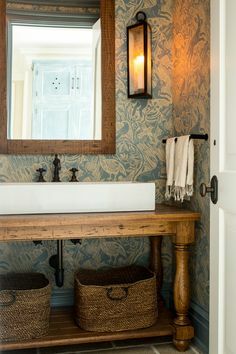 For more decor ideas, follow me on Pinterest!